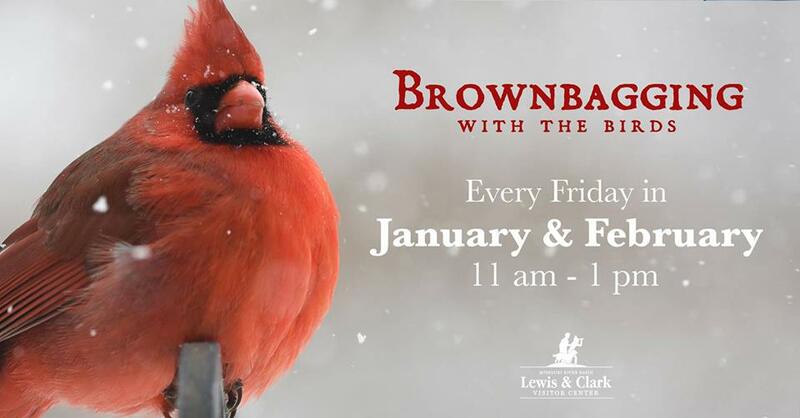 Grab your brown-bag lunch and join the Missouri River Basin Lewis & Clark Visitor Center for Brownbagging with the Birds every Friday in January and February from 11:00 am to 1:00 pm. The grounds of the Center are a haven for dozens of bird species, from bald eagles to wrens and everything thing in between. You are invited to enjoy your lunch among fellow birders in the comfort of the Center’s gallery while viewing these diverse species through the enormous picture windows overlooking the woodland on the west bank of the Missouri River. Attendees typically see 12-15 different species over the lunch hour. This event is FREE to the public.